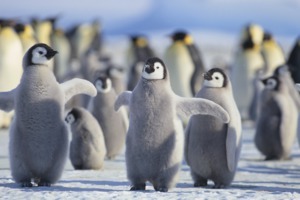 An expedition cruise to Antarctica is a truly remarkable adventure, a voyage to a pristine land of ice and snow, populated by an all-star cast of penguins, seals and whales. But with ever more cruise lines visiting the 'white continent', it can be tricky to work out which ship is the right one for you. As you would expect, travelling to Antarctica is not cheap, so this is an important decision to get right. For some travellers, luxury and comfort will be of the utmost importance, while others will be more concerned with the quality of the onboard expedition team or the tools and gadgets on offer to facilitate in-depth exploration. 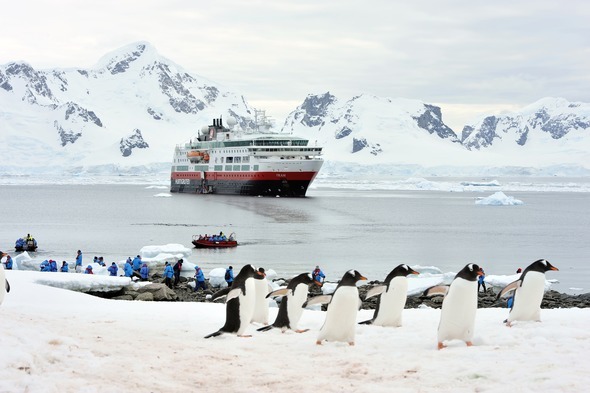 Silversea have operated the Silver Explorer in Antarctica for some years, and the newly converted Silver Cloud has recently joined the expedition fleet, enhancing the comfort levels on board. What's more, from winter 2020 a newly ice-strengthened Silver Wind will begin cruising in Antarctica. The Silversea all-inclusive proposition ensures you avoid any added extras to the (admittedly high) up-front cost. Most cruises depart from Ushuaia, and Silversea offer a chartered air connection from Buenos Aires or Santiago. Watch out for a rare voyage to the Ross Sea in 2021 on Silver Explorer, sailing from Dunedin in New Zealand. Lectures are of a high standard, and you can expect to always be with an expert, whether in the zodiacs or ashore, as a result of the excellent guest to guide ratio of about one guide to every 12 guests. You can expect two landings per day, weather permitting. The pioneer Lars-Eric Lindblad led the first ever citizen-explorer expedition to Antarctica in 1966, inventing the concept of expedition travel. Experience matters, particularly when you are travelling way off the beaten track. 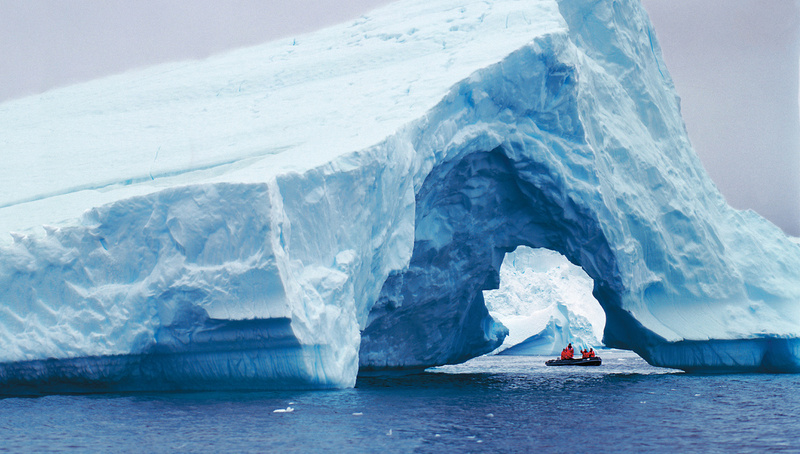 For safety and insight, Lindblad, with hundreds of Antarctic expeditions under their belts, really stand out. 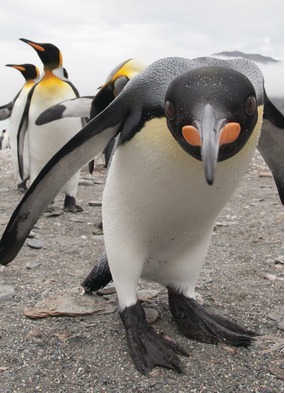 Lindblad ships carry a whole range of 'Tools for Exploration': Zodiacs and kayaks of course, but also a remote-controlled crow's nest camera with real-time footage broadcast on video screens within each cabin; a video microscope to view Antarctica's invisible facets, and a hydrophone to listen in on whales. Their ice masters and expedition leaders are the best, and include an undersea specialist aboard every voyage who dives to capture video footage shown in the ship's lounge. National Geographic Explorer and Orion are also each equipped with an ROV (Remotely Operated Vehicle) capable of exploring depths up to 1,000 feet. What's more, there's a National Geographic photographer on every departure. 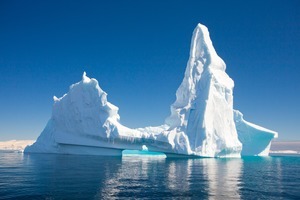 Quark's expertise is specifically polar - they focus on Arctic and Antarctic sailings only. 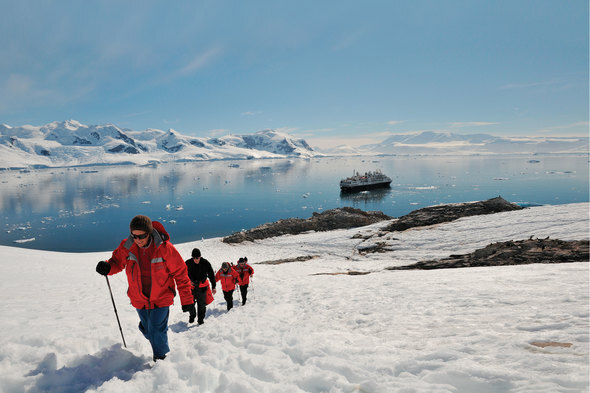 With a variety of vessels and price points, you have quite a choice of different itineraries, including a rare opportunity to sail as far south as the Antarctic Circle (66 degrees 33) which few travellers achieve. Look out for sailings with included opportunities for camping, kayaking and stand-up paddle boarding, which distinguish some Quark vessels from the competition. 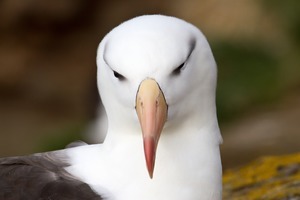 Those wishing to avoid the potentially bumpy journey across the Drake Passage can fly the Drake from Punta Arenas and join their ship in King George Island. This is an interesting option but one that may suffer from adverse weather conditions. With over 100 years of experience in operating the renowned Norwegian Coastal Voyage, taking equipment, post and people along the coast of Norway from Bergen every single day of the year, Hurtigruten is no stranger to the operation of hardy vessels in inhospitable waters. More recently their purpose-built expedition ship Fram, and the ice class Midnatsol, have begun venturing to another hemisphere during our winter to explore the Southern Seas. Two high-tech new expedition ships, Roald Amundsen and Fridtjof Nansen, are due to join the fleet in 2019 and 2020 respectively. 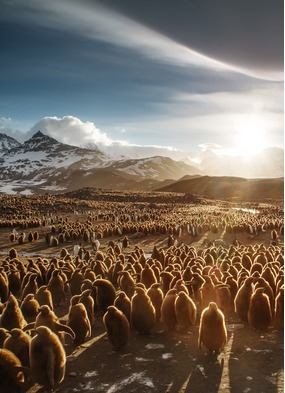 Look out for Midnatsol's unusual itineraries, which include exploration of the Chilean Fjords and several days in the Falklands as well as time on the Antarctic Peninsula. The Hurtigruten vessels are some of the largest in the region, which limits landings, but they offer an excellent cost effective option. 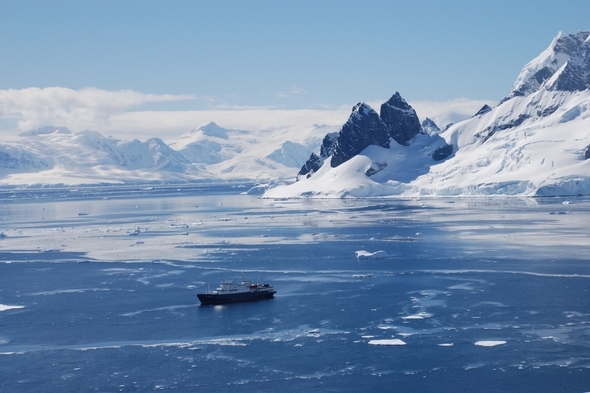 Hapag-Lloyd's much loved Hanseatic recently retired after wintering in Antarctica since the early '90s, and Hapag was for years the only luxury operator in the area, with a stand-out Berlitz five star rating. Two exciting new ships - Hanseatic Nature and Hanseatic Inspiration - are due to arrive in 2019, promising a new level of luxury. 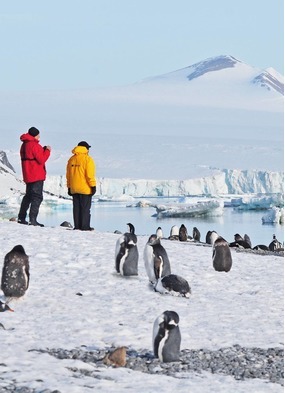 To make the most of your extraordinary Antarctica voyage, you need high levels of expertise from the operator. The key issues are of course safety, an efficient and speedy operation for landings and zodiac excursions, and an outstanding team of experts, naturalists, expedition leaders and guides. 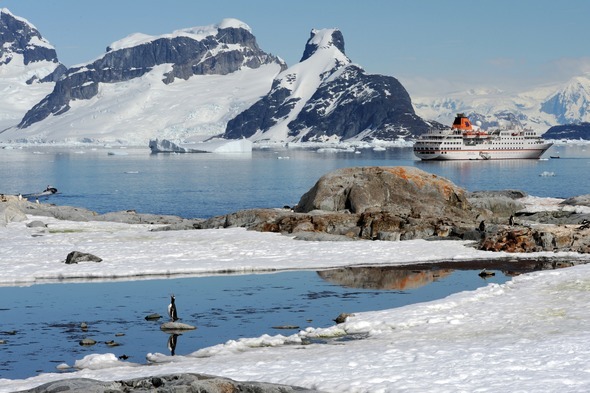 As regular visitors to the area, Hapag-Lloyd have rightly achieved a prestigious status and reputation amongst experts and customers alike, and will ensure a very special Antarctica experience. Aurora Expeditions have been operating in Antarctica since 1991, with an outdoorsy focus on immersive experiences rather than onboard luxury. 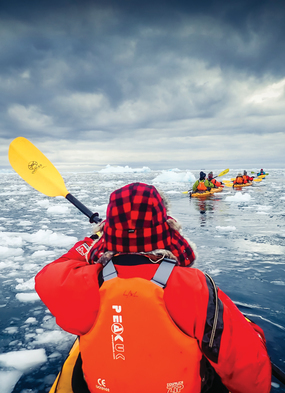 Aurora offer an innovative range of activities in Antarctica, including trekking, camping, scuba diving, sea kayaking, cross-country skiing, snowshoeing and climbing. We are particularly excited about Aurora's new ship, named after company founder Greg Mortimer, which arrives in 2019. This will be the first expedition vessel in the Antarctic to use the revolutionary X-BOW design, which eliminates movement, reduces noise and vibrations, and will result in reduced emissions. The Greg Mortimer looks like nothing we've seen before - check out the picture to see what we mean! French cruise line Ponant is another operator investing in new hardware, with an incredible six new expedition yachts arriving over the next couple of years. Currently their Antarctica programme is limited to their four existing sister yachts - Le Boréal, Le Soléal, Le Lyrial and L'Austral - but the high-tech new Explorer Class will be kitted out for polar exploration, with ice-strengthened hulls. Perhaps even more exciting is the recent announcement of another new ship, Le Commandant Charcot, which will be the world's first electric hybrid polar icebreaker. 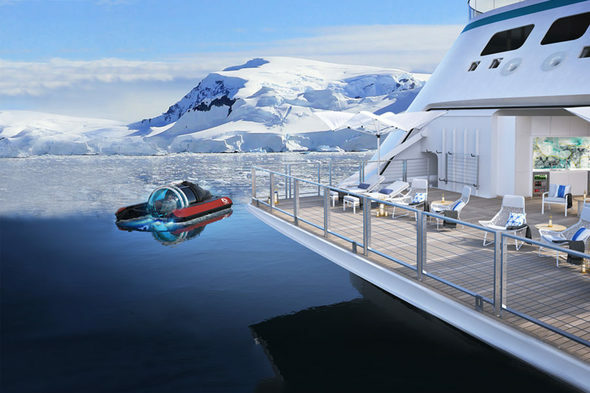 Currently scheduled for 2021, this luxurious vessel will carry 270 guests to parts of Antarctica that other ships can't reach, including the Charcot and Peter I islands, the Weddell Sea and the ice-covered Amundsen Sea, a truly remote region that remains mostly unexplored. Ponant's new ships are equipped with the latest environmentally friendly tech, including dynamic positioning and advanced waste water treatment systems, and all of your meals, drinks and excursions are included. Luxury line Seabourn have been slowly edging into the expedition arena over the last few years, introducing their 'Ventures by Seabourn' programme of excursions by zodiac and kayak in selected destinations. 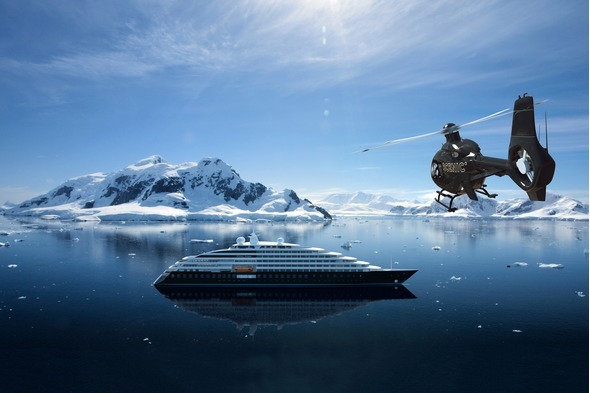 So it was no great surprise when plans for two purpose-built expedition ships were announced, and the first, Seabourn Venture, is slated for launch in 2021, with interiors by designer Adam D Tihany and high-tech toys including a pair of six-seater submarines. 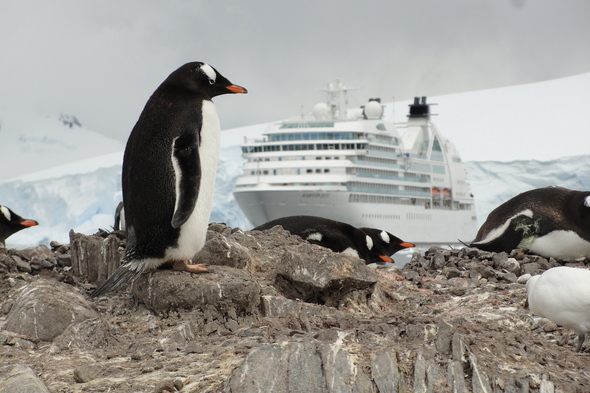 Antarctica will be a key destination for the new ships, but if you can't wait until 2021 then we'd recommend looking at the current Antarctic programme on board Seabourn Quest. The Ventures by Seabourn programme allows you to dip into the more adventure-minded activities as and when you feel like it, while enjoying the high levels of all-inclusive luxury and personalised service that Seabourn is renowned for. This is a great option for those who are not quite sure yet whether expedition cruising is right for them. 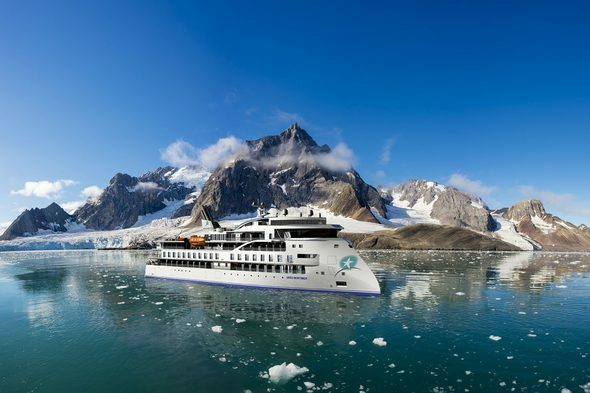 Oceanwide Expeditions offer all kinds of exciting activities in Antarctica, including camping on the ice, mountaineering and scuba diving, and their forthcoming new ship the Hondius will be the first registered Polar Class 6 vessel in the world. 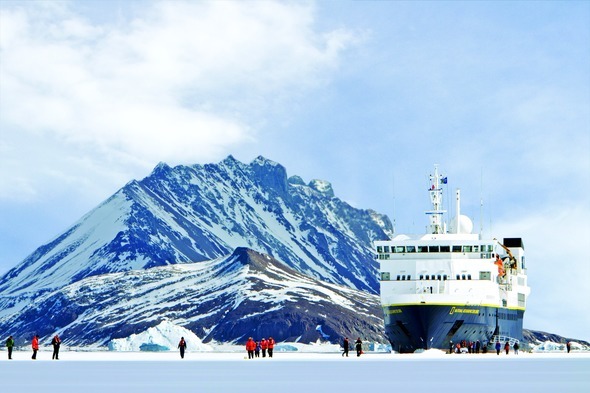 Carrying just 174 guests, the Hondius is designed for minimal impact on the Antarctic environment, exceeding the requirements of the International Maritime Organisation's Polar Code. Oceanwide is a serious polar operator, with strong scientific roots. 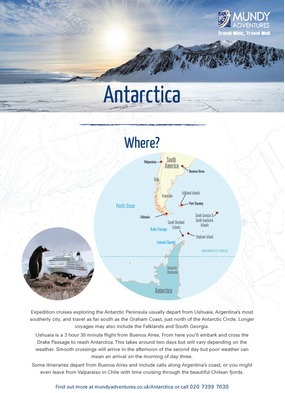 As well as the standard Antarctic itineraries out of Ushuaia, including expeditions visiting the Falklands and South Georgia, Oceanwide Expeditions sometimes operate cruises into the seldom visited Ross Sea, home to the remarkable landscapes of the McMurdo Dry Valleys. They are also offering a unique itinerary in 2021, designed to coincide with a total polar eclipse over Antarctica. Scenic Eclipse, Scenic's new 'Discovery Yacht', launches in 2019, and is set to offer high levels of luxury on board, with an exciting programme of adventures ashore. Extras include a helicopter, a submarine (at an additional charge) and kayaks, and the ship will be equipped with state-of-the-art technology. 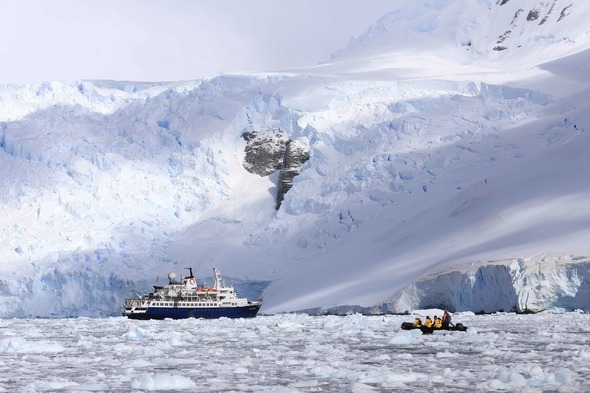 Scenic Eclipse is designed to be one of the most luxurious vessels operating in Antarctica, with all-inclusive pricing and 6-star service including butlers for every suite, and all suites featuring a private verandah. Lots of dining options and an outstanding spa will enhance your experience on board. 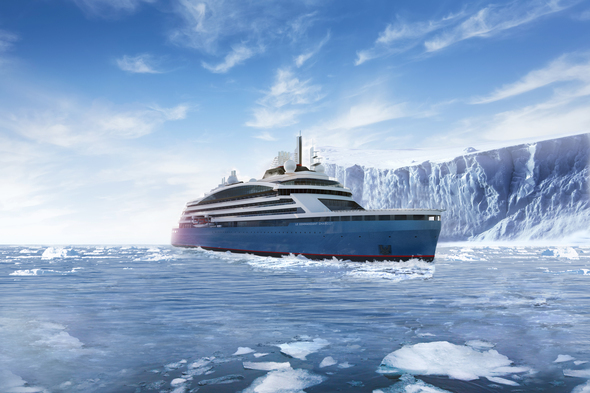 Last but definitely not least, the multi-award-winning 'World's Best' cruise line Crystal enters the expedition market in 2020, with the first of three state-of-the-art expedition yachts. Crystal Endeavor will combine stunning onboard design with a host of high-end toys, including two helicopters and a submersible. Crystal regulars will be delighted to see familiar dining options on board, including the sublime Umi Uma by Nobu Matsuhisa, and the first tranche of itineraries released for sale include two voyages to Antarctica's Ross Sea. Crystal is one to watch at the top end of the expedition cruise market, promising a level of luxury hitherto unseen in the more remote corners of our planet.